Looks like Australia’s love affair with US songstress Pink is continuing, with the singer seemingly having another massive hit on her hands. Pink’s brand new single ‘Raise Your Glass’ was rush released to digital retail earlier today and has now hit the No.1 spot on the Aussie iTunes chart, displacing Rihanna’s single ‘Only Girl (In The World)’. 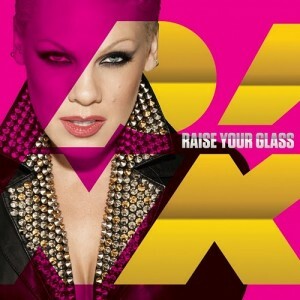 The single is yet to crack the top 40 on the US iTunes chart, while in the UK, ‘Raise Your Glass’ remains unreleased. Will she hold the No.1 position right through ’til next Thursday night? If she does, she’s virtually assured another massive Aussie No.1 hit. I think that’s more of a question of opinion: I love the song and I know a lot of people who do as well. I don’t think it’s radio telling us what to like or artists to like; I rarely listen to radio myself (only ever when I’m in a taxi or someone else’s car) and I love Pink and I love this song. So I think that’s a pretty big generalisation to make, and pretty unfair, too. Yet again Aussie public buying what radio tells them to, or what artists they like rather than the actual quality of the song. I love Pink but this song is pretty average at best. Cr8p may be the better description. I think the album deserves a number one ut the song doesn’t. The single was actually available a few hours prior to midnight Australian EST last night, released on par at the exact same time as the US. It was already at #11 on the chart by then. I suppose this means that all the sales from the very few hours yesterday will not be counted along with today, up to Thursday’s sales next week?